Driving qualified leads for your business is the prime target of all, irrespective of what your business is selling or delivering. 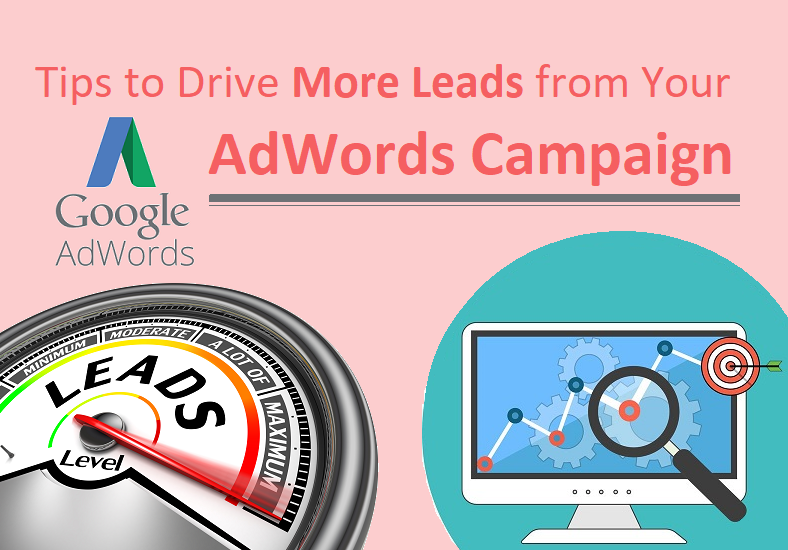 Focusing your marketing campaign around AdWords often leads to a great way to increase the traffic and also help to gain valuable information about your customers and helps to establish a connection with them. Paid ads are about 56% more profitable than social media and roughly offers about 44% ROI. But when doing digital marketing, AdWords aren’t exactly cheap, so it is important to make sure that your search meets the match and that you include the right ad extensions to get the best results out of your campaign. It is very important to reach audiences in specific geographic areas and so implement geo targeting your AdWords with targeting settings. You can start this by analyzing information about your customers and take a look at things like, city, state or zip code for best conversions. In AdWords, set the targets for those categories at different levels for better granularity. This approach will help you to focus your ads on locations and generate more business. You can reduce bids on locations that don’t have a good conversion rate so that you don’t waste your money. The quality score that is reported for each keyword in your account offers an estimate about the quality of the ad and the landing pages that are triggered by that keyword. Having a high score means that the system considers your ad and landing pages to be useful and relevant to someone who is looking at your ad. If you are willing to improve your quality score, then choose your keywords carefully and try to surge your bid with matching keyword phrases. Your Ad should focus on the match type. 1)- Short and clear ad content: With desktop PPC, you always have more space to write the text for your ad. But for mobile PPC, you have to keep it as concise as possible. 2)- Segmentation: It is very important to segment your desktop PPC from your mobile ad campaign. Your campaigns may not observe a lot of differences in conversions, but this is the type of data that people are looking for. 3)- Create mobile friendly landing pages: You cannot send your mobile PPC leads to a landing page that is designed for desktop. So consider creating mobile friendly landing pages that are ideal for mobile AdWords campaign. 4)- Schedule your ads during business hours: Your customers want to reach you while they are on the go and also when you are available to serve their needs. You should schedule your ads so that they are displayed when you are open. Run the ads during normal business hours so that you can answer to any queries and help your visitors to convert to leads. Before you plan to invest in Google AdWord, it is very important to create an ad that helps to showcase your local presence and also encourages the visitors to call your business. People usually prefer advertisements that are personalized to their zip code, city and also surroundings, it is important to ensure that your ad speaks the language of the location that you are targeting. Including some specific words will help with more positive brand connection.